Aim of the role is to lead the commercial management of major projects within the Water sector in accordance with the clients' varied brief. Acting as a Senior Commercial Manager you will take ownership for delivery of service by the team and act to make things better for the clients. Monitor financial performance and raise appropriate change controls to secure additional fees. Our client is a leading international construction consultancy company providing services across three fully integrated business lines: Infrastructure, Environment and Buildings. They work diligently to deliver successful solutions that meet client objectives and to realize their vision to inspire extraordinary environments. In Infrastructure they primarily work for clients in the transport, water and energy sectors enabling them to achieve their goals by providing solid cost, programme and project management consultancy services. This is a client facing role and demonstrable skills in maintaining and developing both internal and external relationships are required. You will be a degree qualified and preferably chartered Senior level Commercial Manager, with a proven background of experience working within a consulting engineers, PQE or Civils environment. You will have knowledge of I Chem E forms of contract and target cost arrangements and demonstratable experience of commercial management roles on major leading civil engineering projects, preferably including water. Proven senior management and client facing ability are critical as they have numerous ongoing major accounts which require the right skill set and delivery management ability. The successful candidate will be able to demonstrate: Excellent writing skills; Ability to build effective working relationships in order to source required information from technical specialists; Initiative and creativity; Ability to handle challenge and iteration of writing outputs; Experience of working as part of a multidisciplinary team; Excellent organisational skills; Attention to detail; Ability to work under pressure and to demanding deadlines; A flexible approach. The jobholder is expected to take on responsibility for motivation, guidance and mentoring of graduates and trainees. Additionally, they may be required to participate, from time to time, in various business related initiatives undertaken by the firm. 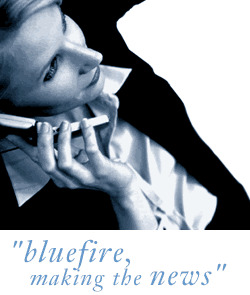 Bluefire Consulting is an equal opportunities Employment Business/Agency specialising in Building and Construction recruitment on a UK wide basis.